In this business case, Quantis and Danone share the journey to set bold GHG reduction targets in line with the 2˚C global warming limit. At Quantis, we like to share what we know and for over a decade, we’ve worked with forward-thinking organizations around the world to define, shape and implement intelligent sustainability strategies and actions. We do this by delivering robust metrics, useful tools and credible communications. And this is the journey we’ve taken with Danone, a longstanding partner committed to driving change through its business to lead the Food Revolution. 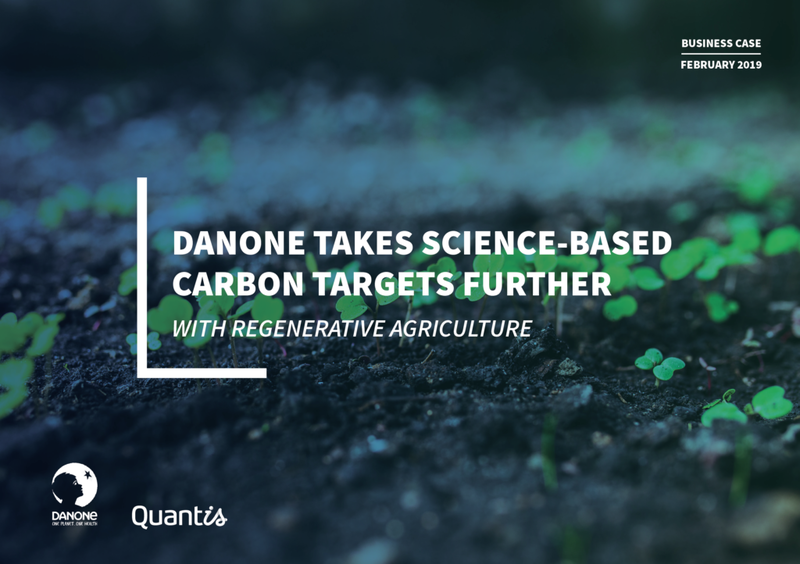 Danone believes in the robustness of metrics to drive its efforts to decarbonize its business and to help the company make effective and meaningful decisions about where the most impactful reductions can be levied. With Quantis as a compass, the global food company is aligning its course with a 2°C global warming limit using science-based carbon targets to put its business and brands on the right path to mitigating climate change. This business case walks you through the journey of how we worked together to commit, set and deploy Science-Based Targets.